One of the most potent forces that drives climate change is the world of investments. Through the leverage of massive amounts of money accumulated in retirement funds, as well as in the bank accounts of corporations, plus wealthy and ordinary people, the traditional profit formulas of our ‘market-based economy’ have fuelled the proliferation of greenhouse gas emissions. In June of 2018, Rotary International held its gigantic annual conference (this year held in Toronto, with 26, 000 delegates!). There, the board of RI made a big announcement! 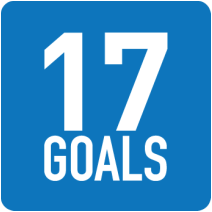 The organization has now embraced the United Nations Sustainable Development Goals (SDGs) as the framework for its local and global efforts. As part of the program, Candace Matelic and I had the privilege of presenting a session at the conference, entitled “Community Well-being: The UN Sustainable Development Goals”. Candace is a long-time contributor to the museum field, especially in the area of community engagement and change management (as well as a member of this group). 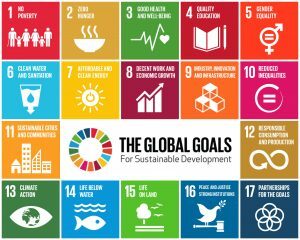 It was great timing that our session on the SDGs, which she and I workshopped last year at the joint conference of the Alberta Museums Association and the Western Museums Association, resonated so well with Rotary’s big announcement. For those who are not familiar with the workings of Rotary, it is a global organization with over 1.2 million members in thousands of communities. Rotarians are committed to providing relevant service that helps meet community needs. This intersection of business, which constitutes the heart of humanity’s current economic model, and community, positions Rotary as a close potential ally with those museums that are committed to addressing community needs. The potential for a values-alignment between these two forces – Rotary and museums – seems rich. I n October of 2016, the Alberta Professional Planners Institute gave an Award of Merit to WorldViews Consulting and its partner Intelligent Futures (a Calgary-based urban planning firm). 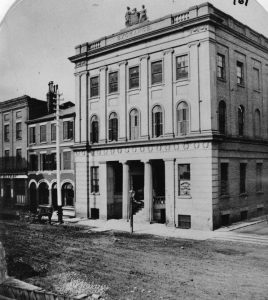 The Award, in the category of ‘Special Study’, pertains to strategies developed for the Edmonton Heritage Council as it stewards the creation of a City of Edmonton Museum. What is most unique about this initiative is that this is a museum without walls. Instead of being a building that functions as a destination for visitors during their leisure-time, the museum engages citizens in processes of sharing stories, imagining futures, discussing issues and building connections that are important in day-to-day life. 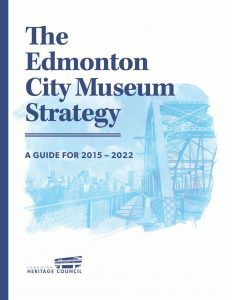 Read more about the project – Edmonton City Museum Strategy. 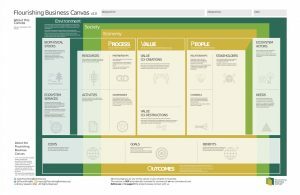 For the past several years, I have been a member of a fascinating group that has been creating a new organizational development tool – the Flourishing Business Model Canvas – designed to cultivate a culture of sustainability through business. Initially, I was attracted to the Strongly Sustainable Business Model Design Group, centred at the graduate program in Strategic Foresight and Innovation, Ontario College of Art and Design University, Toronto. 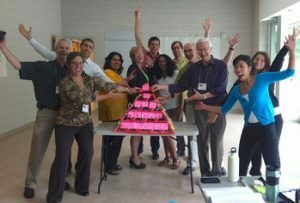 There, a friend and colleague, Bob Willard, along with initiator, Antony Upward, (and others) were creating this tool for designing organizations that could balance their goals of economic, social and environmental well-being. Although this work came out of the business world, I could see that such an approach to an integrated set of value propositions would serve non-profits as well as for-profits. Now, with the beta-version of the ‘canvas’ released, I have become a First Explorer and have been working with a number of non-profits, mostly museums, and have found the tool to be very useful in generating critical discussions about purpose, strategies and measures of success! By next year, the canvas will be revised again, a book will be published as a guide, and the basic materials will be available online under a Creative Commons licence for free. Stay tuned!! Until then, check out more at flourishingbusiness.org and ssbmg.com. 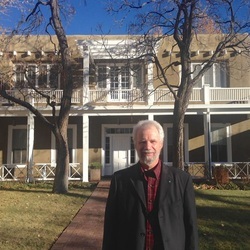 From November through December, 2014, I was honoured as the first Research Fellow in Museum Studies at the Georgia O’Keeffe Museum Research Center, in Santa Fe, New Mexico. During my time at the museum, I brought my long-standing interest in visitor-based creativity and audience research, as well as my more recent work in how culture informs the direction and future of our society. In this context, museums have the potential to develop new tools and approaches that can engage communities on issues that are defining our world today. I conducted a number of workshops, both with staffs of the O’Keeffe museum and other local cultural organizations, as a way of generating new opportunities for these organizations to build creative and enduring relationships that can serve the wellbeing of the communities. Essentially, the work was designed to help the museum foster a culture of sustainability in Santa Fe. For a summary of my time a the O’Keeffe Museum, click here. Click here for more information about how the AtKisson Method can help you with your sustainability planning. “The experience of building a pyramid provided remarkable clarity and direction in a realm where these things are often lacking… recommended for anyone concerned about the state of the world.” says Glenn S.